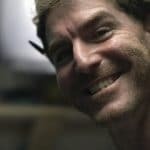 We love art, and we’re betting you do too. That is why we want to give you some expert tips on how to keep your art looking as beautiful as the day you first laid eyes on it. For example, do you know how to clean a painting without removing the paint, or the ideal way to display it to avoid damage? Find out with our new quiz all about the right (and wrong) ways to protect and display your art. Artwork on this medium in particular should be protected by a frame, glass, and acid-free matting. Paper is very prone to damage from sunlight, humidity, and physical damage such as creases. 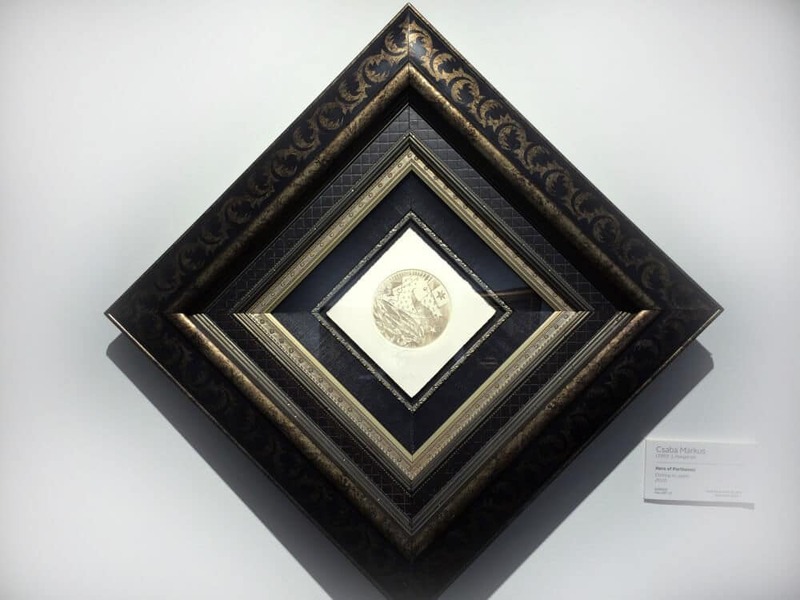 By taking preventative measures with the proper framing, the artwork will stay pristine. You should avoid exposing your artwork to direct sunlight. Ultraviolet rays and infrared radiation from sunlight can cause irreversible damage to your art over time. 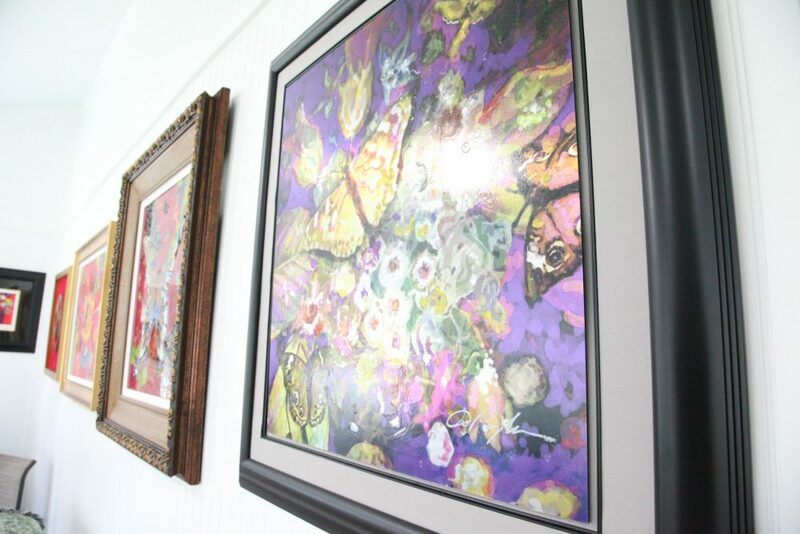 If you can't avoid hanging your art in a bright room, opt to frame them using UV acrylic plexiglass. A neat trick for cleaning an oil or acrylic painting is to dab it with a piece of bunched-up bread to pick up dirt and grime. Some websites have suggested cleaning a painting with pieces of bread, or even slices of potato. We don’t recommend this—you’ll only end up with bread crumbs and potato residue on your painting. 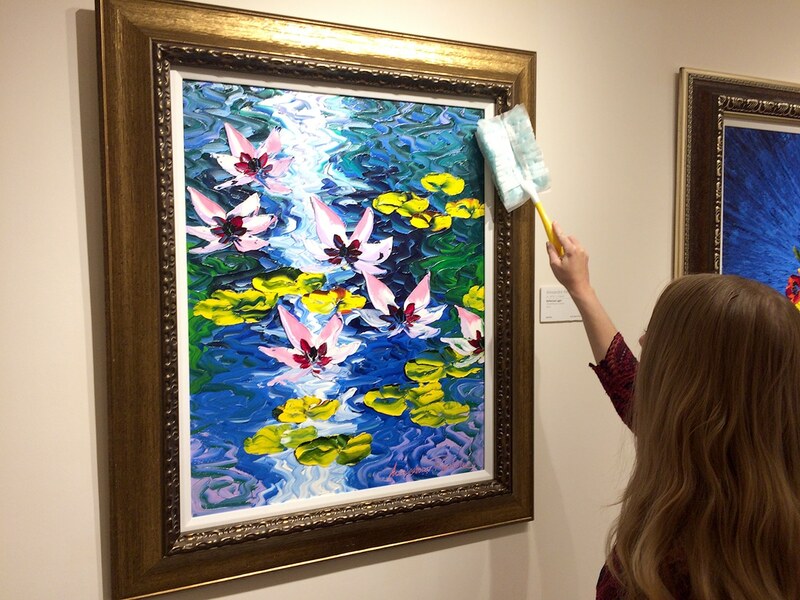 What is the best way to routinely clean art that isn’t behind glass? Regularly dusting artwork ensures it will last for years to come. Which of these lighting situations should you generally avoid when lighting a sculpture? 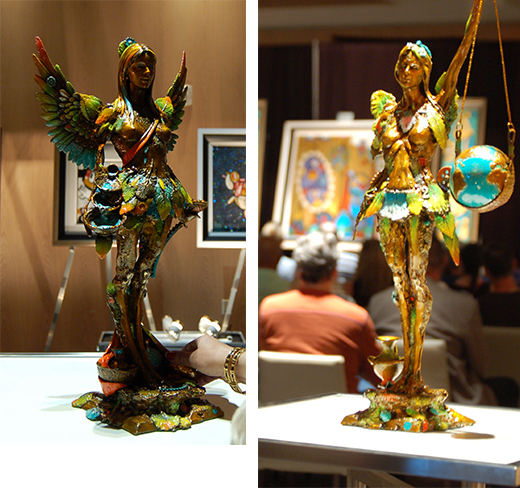 It is best to have 2-3 diffused sources to ensure all of a sculpture’s details are on display. Which of these types of light bulbs is the safest to use when lighting art? LEDs emit no ultraviolet rays and little heat, both of which can damage to your art. Choose LEDs with a Color Rendering Index (CRI) of 95 or above to help bring out the colors of the art. It’s fine to use common, ammonia-based window cleaners to clean a frame’s glass. Park West experts recommend using a dry, non-abrasive cloth or microfiber towel to clean the glass or acrylic paneling that protects your art. 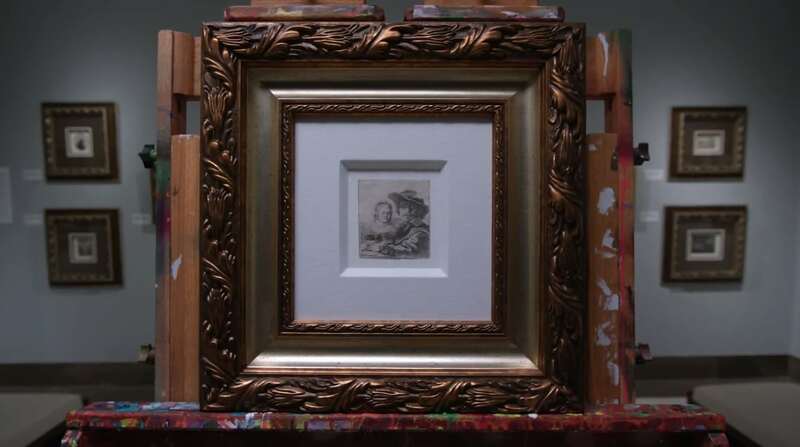 Spraying the glass with a cleaner can cause it to leak into the edges of the frame and damage the art or matting. Which of these shouldn’t you do when storing artwork? It might seem convenient, but leaving art in its packing tube can cause it to permanently warp and crack. Always store your art flat when possible. It’s acceptable to use furniture polish or water to clean a frame. 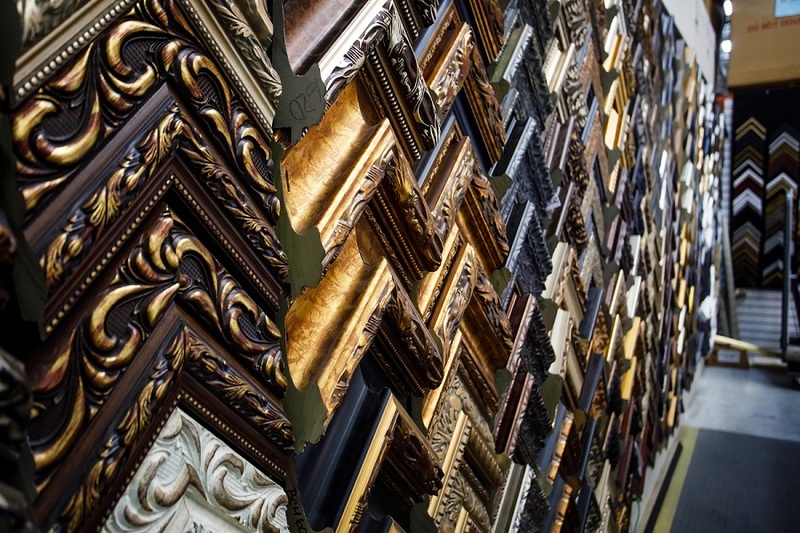 Using furniture polish or water to clean a frame can change or damage the frame and its intricate patterns. Instead, dust them with a cloth or soft brush. What is the ideal humidity level of a room to keep art from becoming damaged? To measure a room’s humidity level, use a simple hygrometer. Additionally, the ideal temperature of a room should be 68-72 degrees Fahrenheit (20-22 Celsius). Good job! 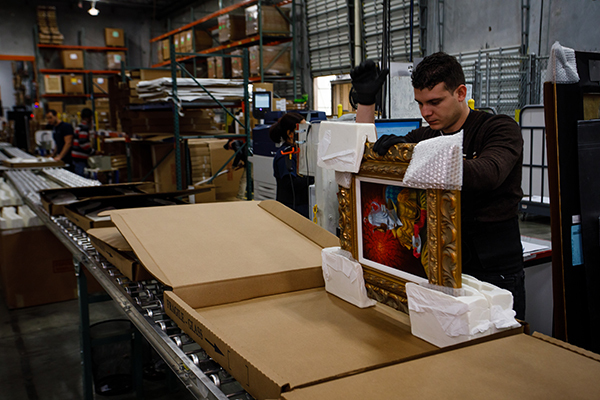 We hope you learned some useful tips and information for keeping your art beautiful and pristine. How did you do on our quiz? Share your results on Facebook and Twitter. If you’re looking for a work of art to care for and enjoy for years to come, contact our gallery consultants at (800) 521-9654 ext. 4 or sales@parkwestgallery.com with questions about collecting. 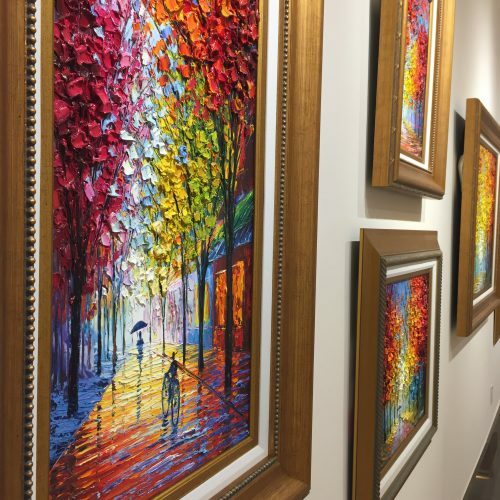 Now that you’ve learned how to care for art, discover the artists who create the amazing works you can collect from Park West Gallery with our artist profile video series. 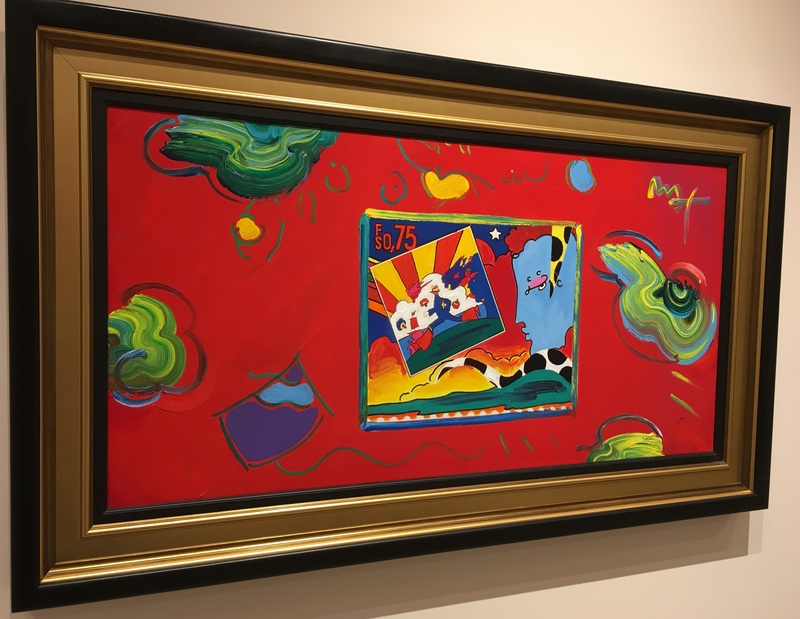 Our family of artists consists of some of the most renowned names in contemporary art, including Peter Max, Romero Britto, Autumn de Forest, Scott Jacobs, and Lebo. By working directly with these artists, we are able to provide collectors with authentic and beautiful works straight from their studios. Park West has also built a collection of masterworks by some of history’s greatest artists, including Pablo Picasso, Joan Miró, Rembrandt van Rijn, Marc Chagall, and Pierre-Auguste Renoir. 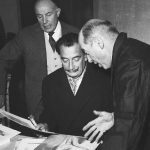 This collection, 50 years in the making, gives collectors the opportunity to own a piece of art history. How do I go about getting a certified copy of what my art that I bought on a cruise is worth. I need to get my pieces covered by insurance. I received the certificate for only one and I bought 4. I think there is a charge of $25. 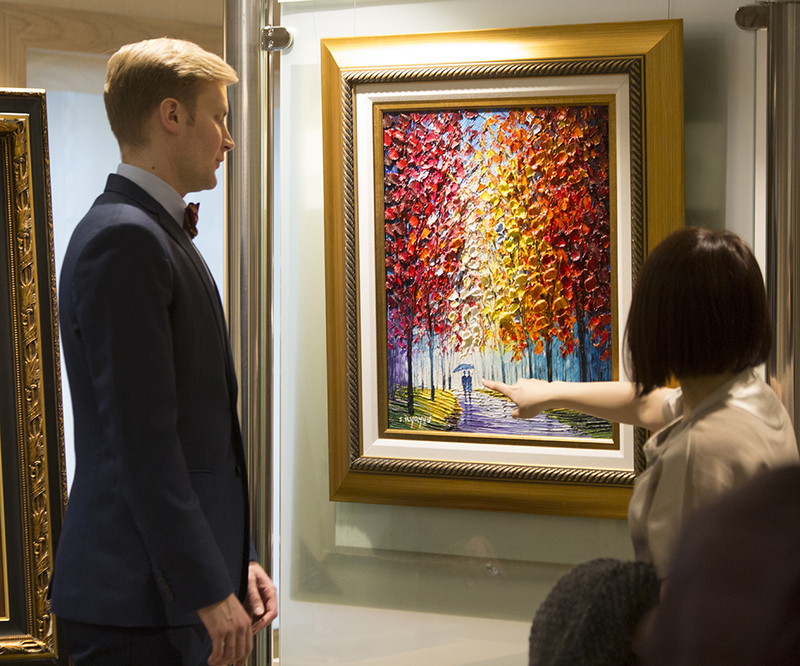 If you email our Appraisals Department at appraisals@parkwestgallery.com, they will be able to help you! Any special recommendations for cleaning artwork like that by Slava Ilyayev that has particularly thick paint and is prone to collect dust, but is also fragile? Would you still use a feather duster? Hi Kim! Yes, a light feather duster would be recommended for paintings with texture.